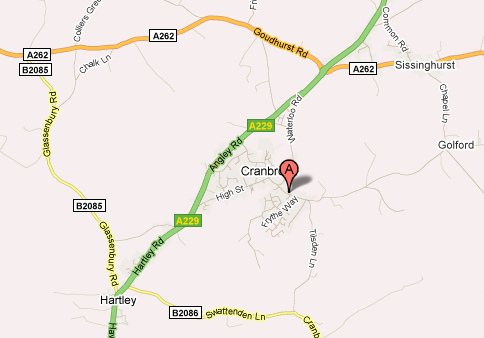 Cranbrook is just off the A229 which runs North/South from Maidstone to Hastings. The A262 runs East/West between Tunbridge Wells and Tenterden and passes just north of Cranbrook. See map. 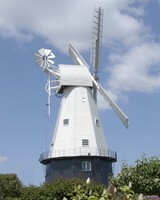 The postcode is TN17 3AH. Arriva service 5 between Maidstone and Sandhurst, and Renown service 297 between Tenterden and Tunbridge Wells, stop in the town. South-Eastern trains from London (Charing Cross) to Ashford and Dover stop at Staplehurst (five miles north of Cranbrook) then bus service 5. Click on the map for a scaleable map and access to Google Street View and more photos online.